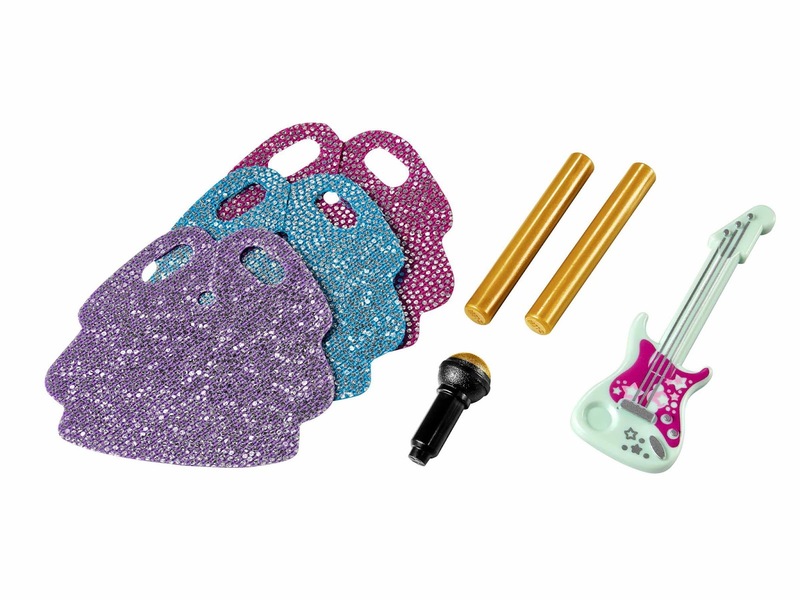 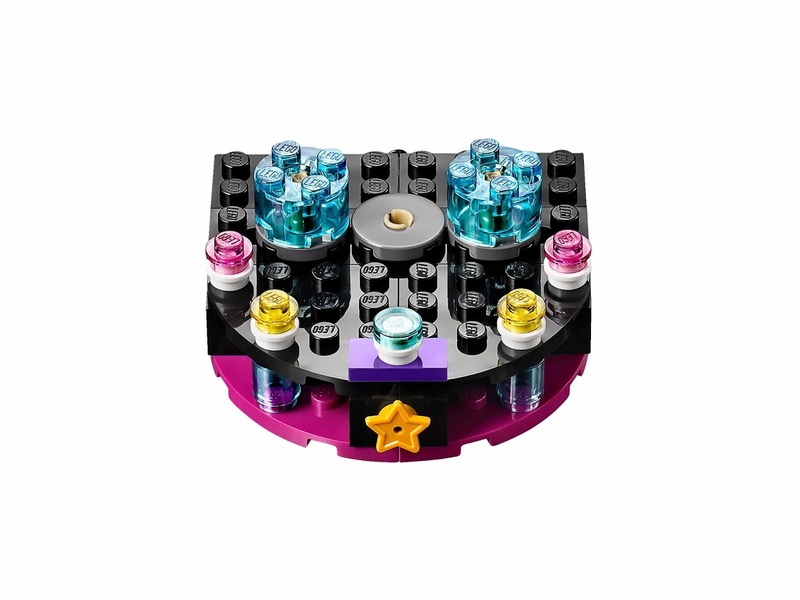 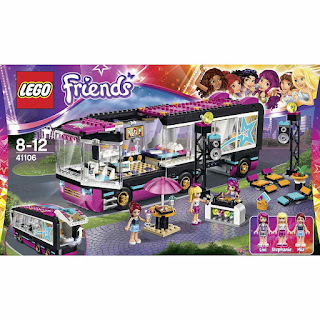 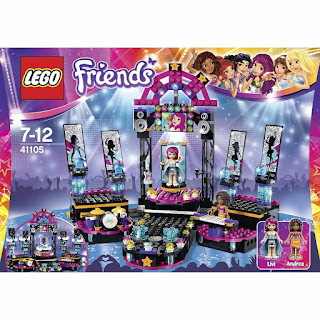 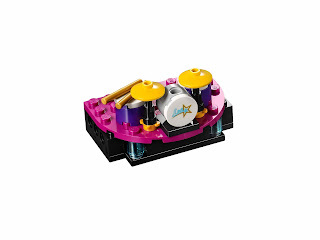 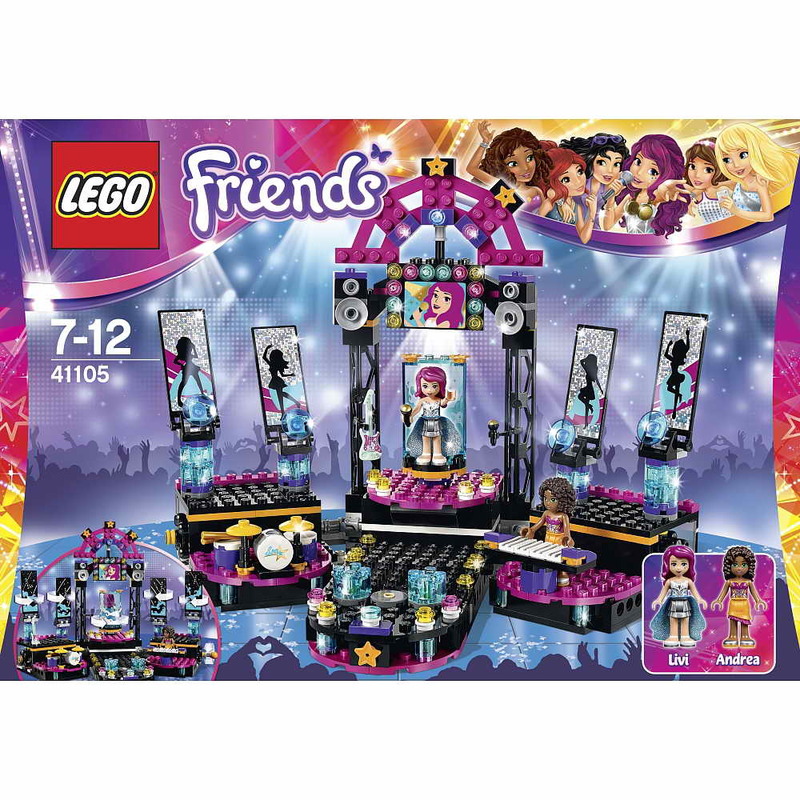 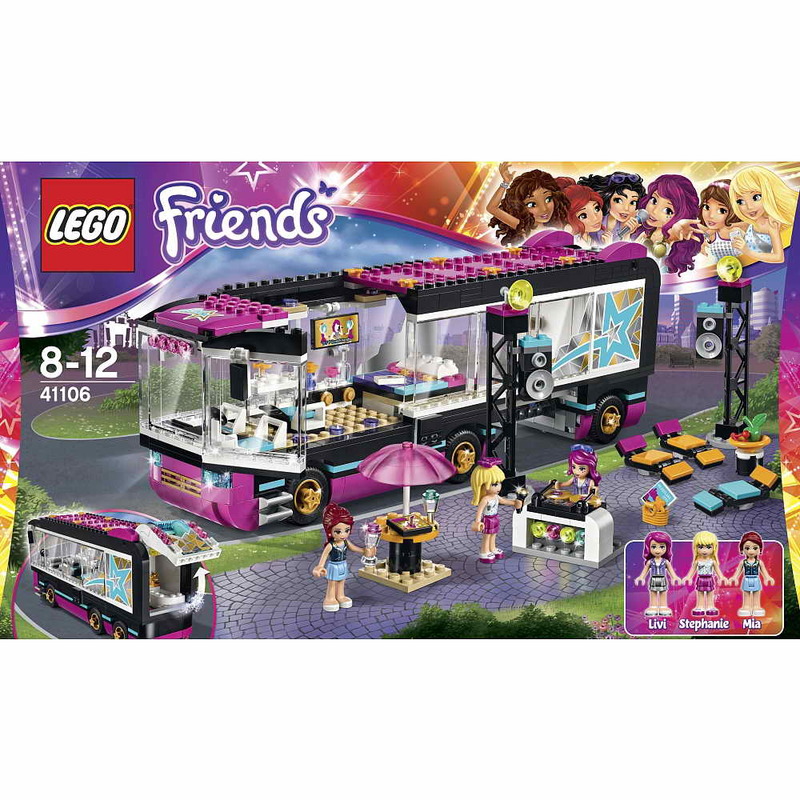 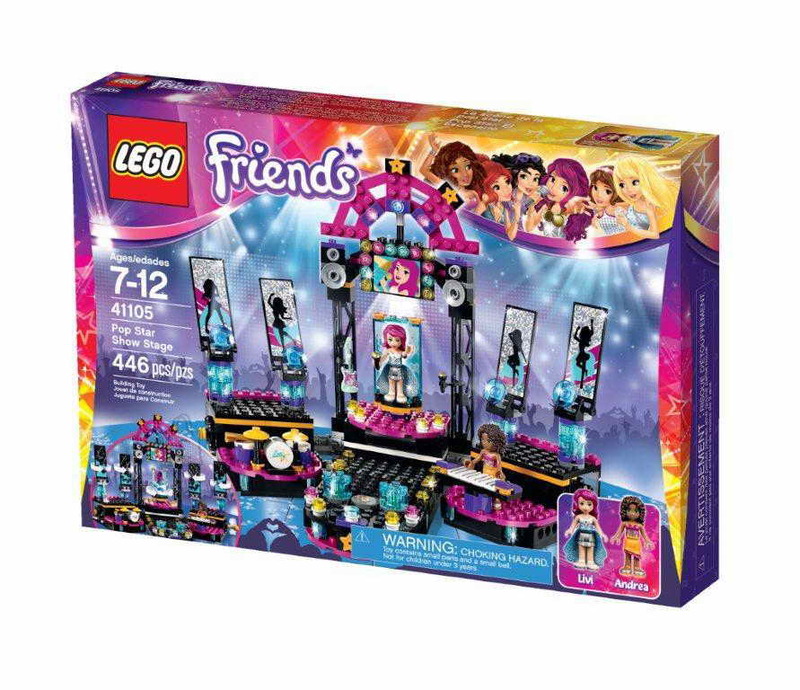 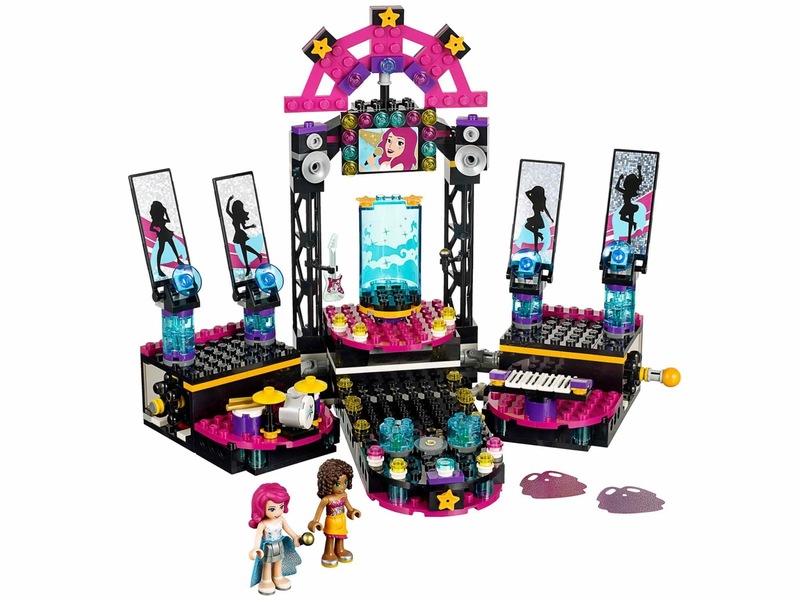 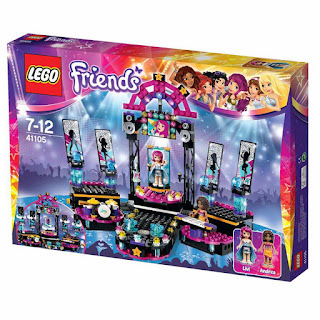 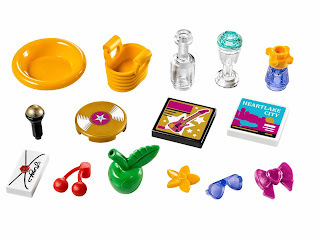 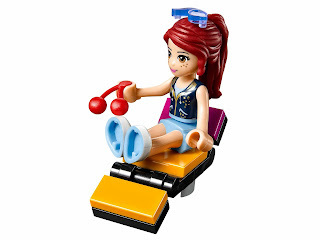 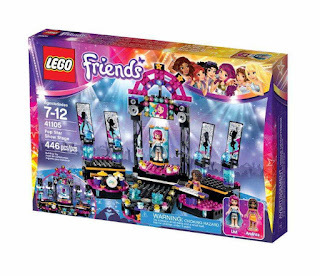 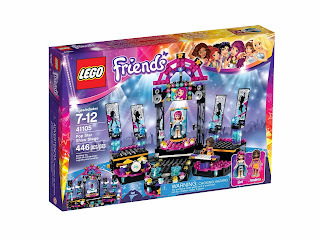 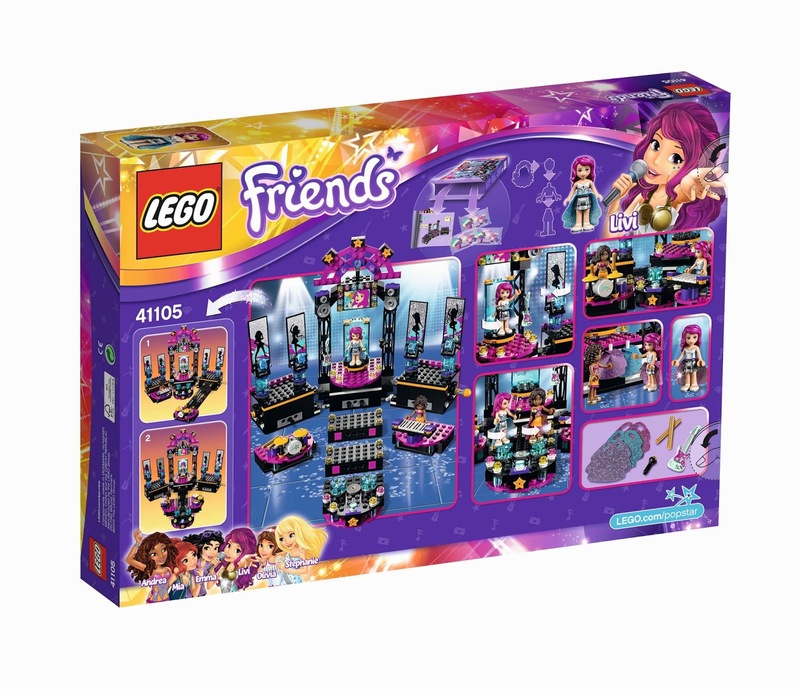 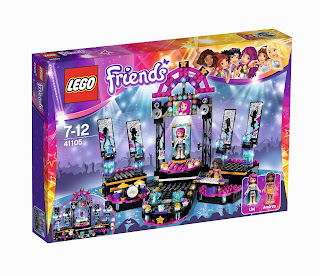 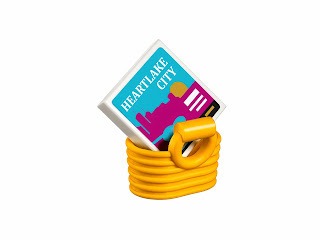 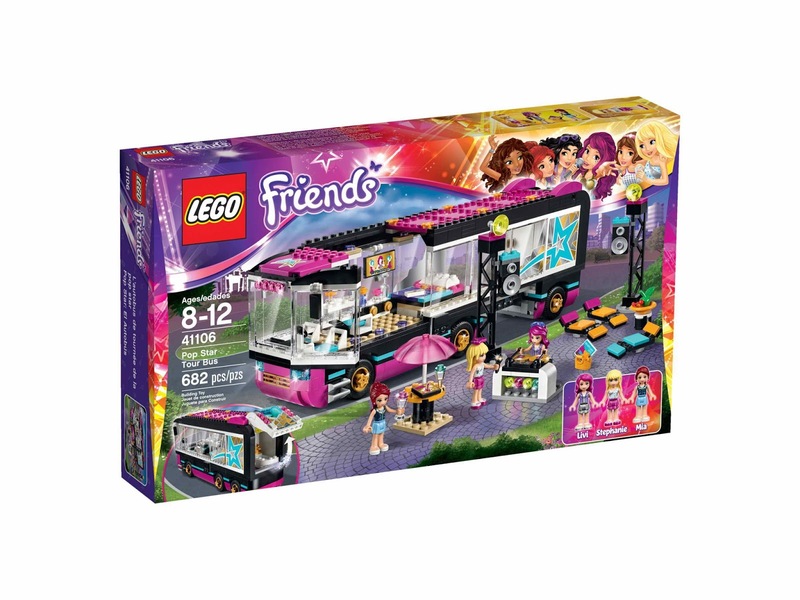 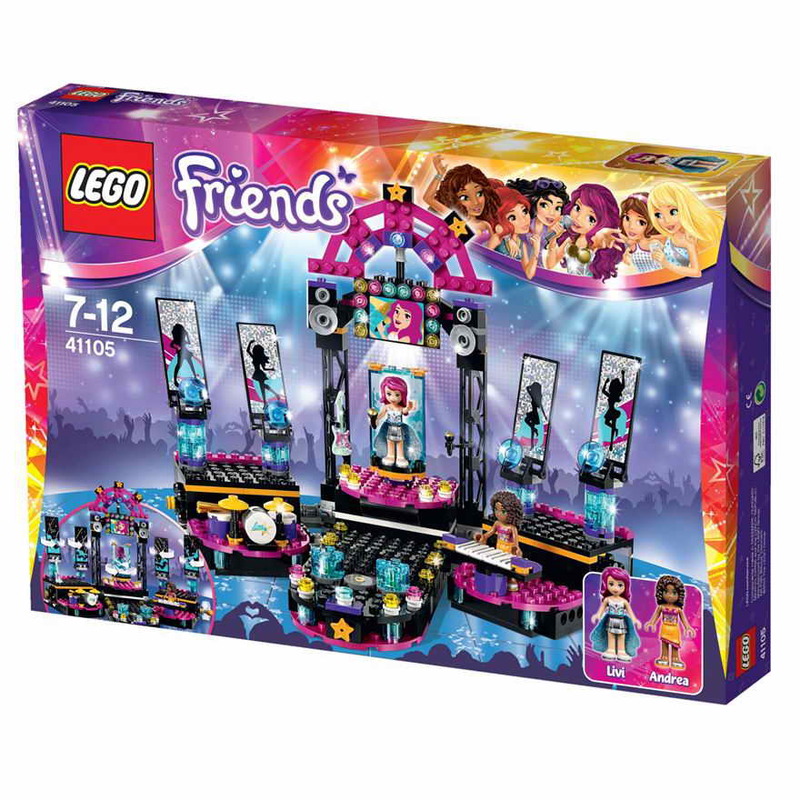 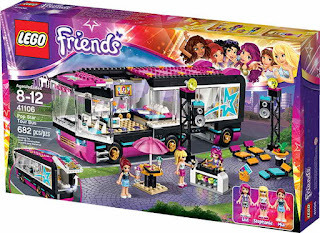 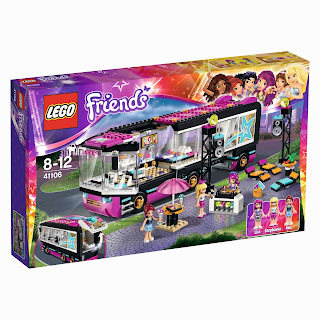 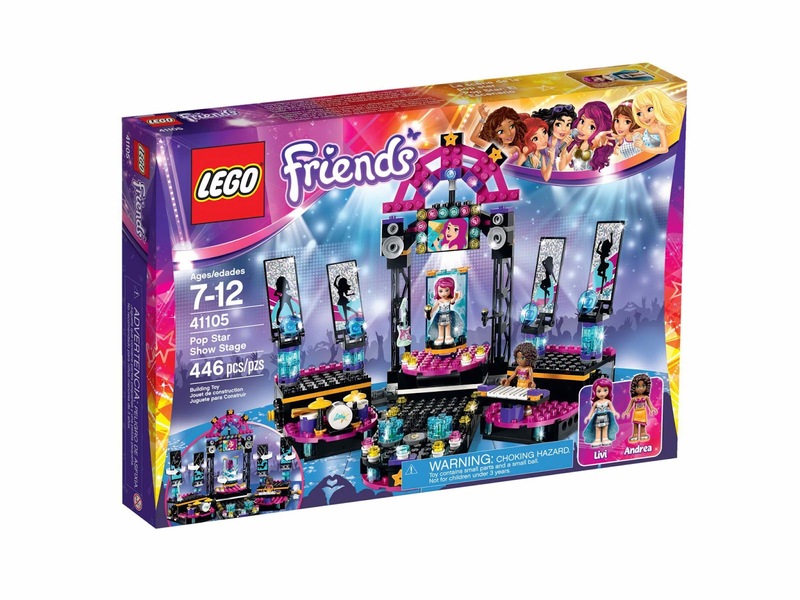 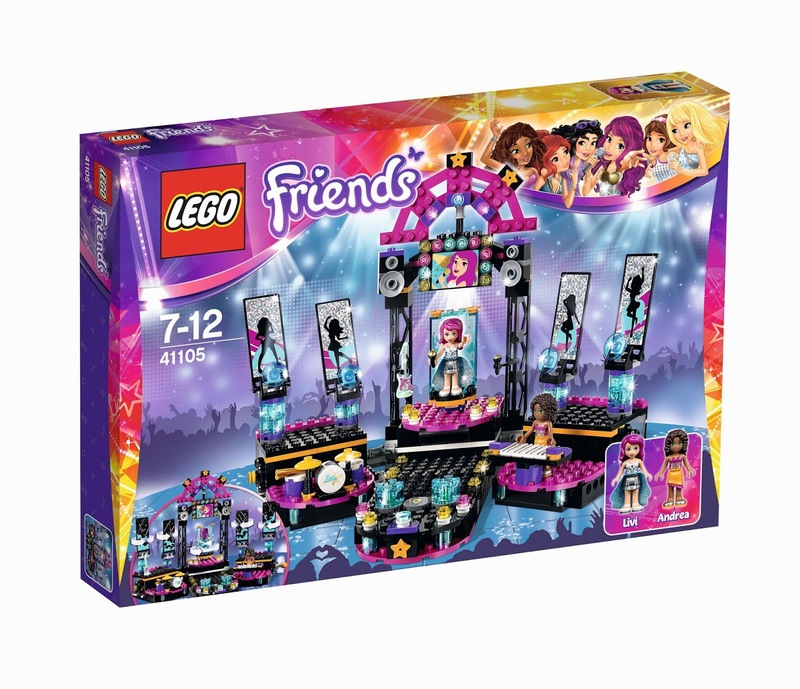 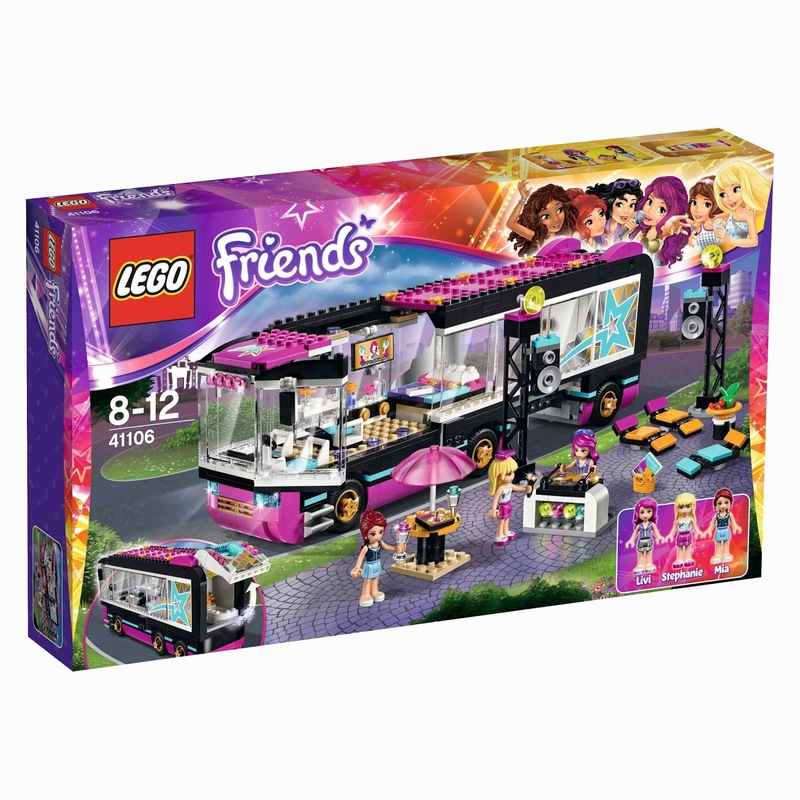 come with a modular stage with catwalk, a big screen, background panels, brick built speakers, a pop star reveal function, a dancing function, drums and a keyboard set. 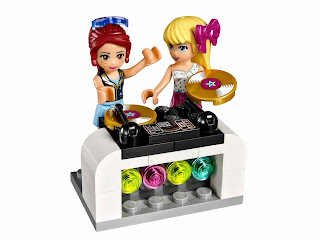 minidolls included andrea minidoll in pink shirt and yellow skirt and livi minidoll in silver top and silver skirt. 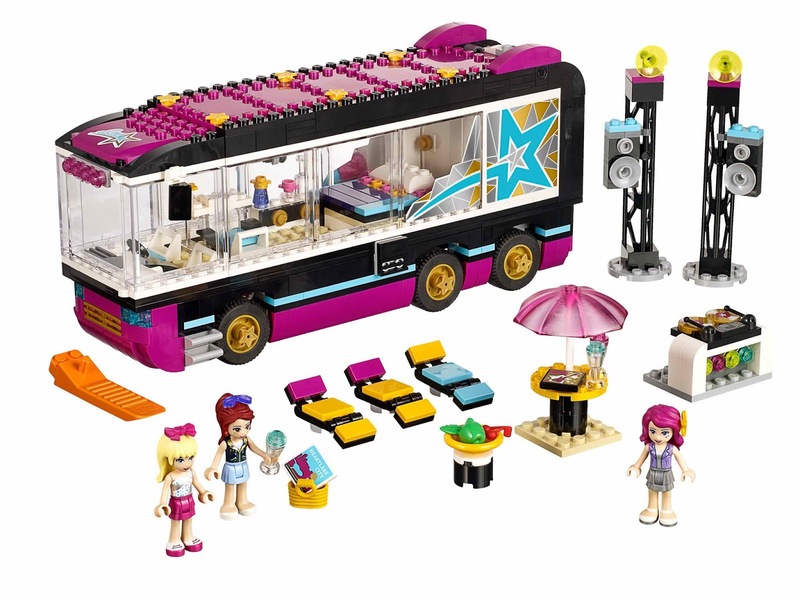 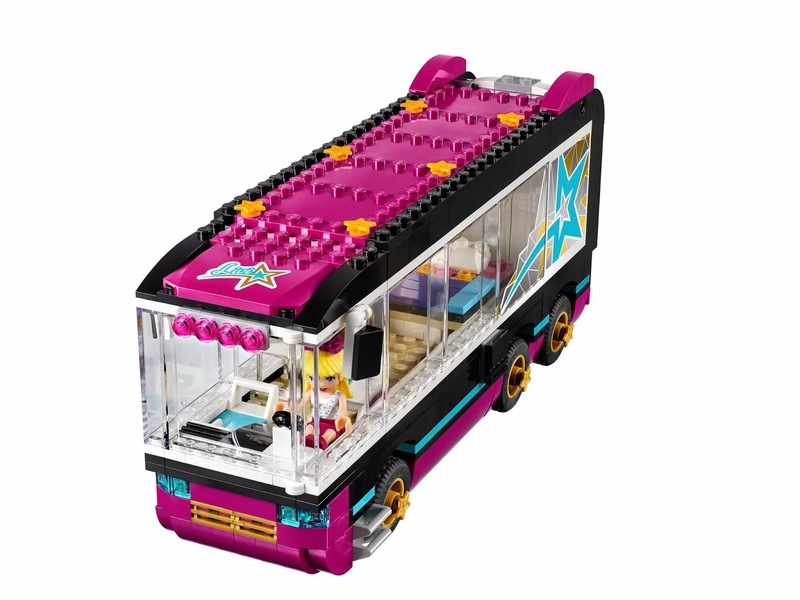 come with a tour Bus with a driving area with 2 seats, a living area with tv and bed, bathroom with brick built hot tub and a pull out rehearsal stage. 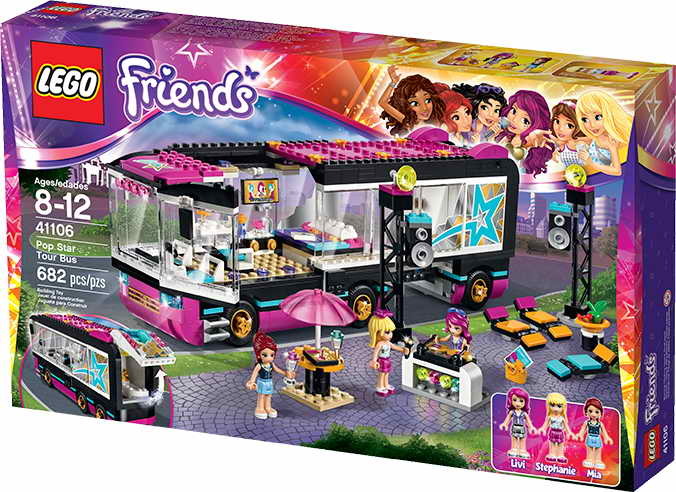 the outdoor party area has 2 tables, an umbrella, 3 sun loungers, a dj booth and 2 brick built speakers with pylons. 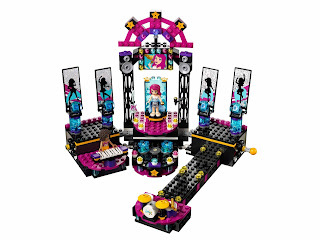 minidolls included stephanie minidoll in white shirt and pink skirt, mia minidoll in dark blue shirt and light aqua skirt and livi minidoll in violet shirt and silver skirt.